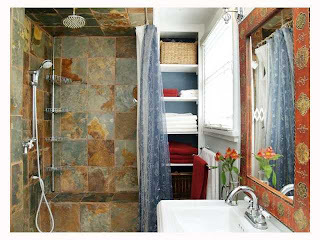 Our master bathroom could use a little sprucing up. Just the small things, the details. 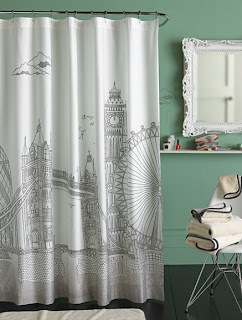 One of those details is the shower curtain. 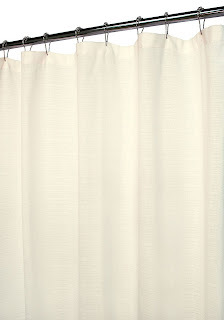 Our current curtain is very think and doesn't allow any sunlight into the shower; all the windows are all on the outside of the shower. So every morning I have to turn on the mirror-side lights before I hope in the shower. 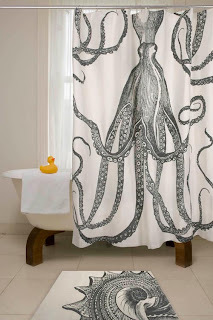 So I went looking for a whiteer, brighter mid-century modern shower curtain. This octopus shower curtain is my absolute favorite but was too expensive, although I did consider it even at a high price point. I also liked this London shower curtain, but again, too expensive for me. 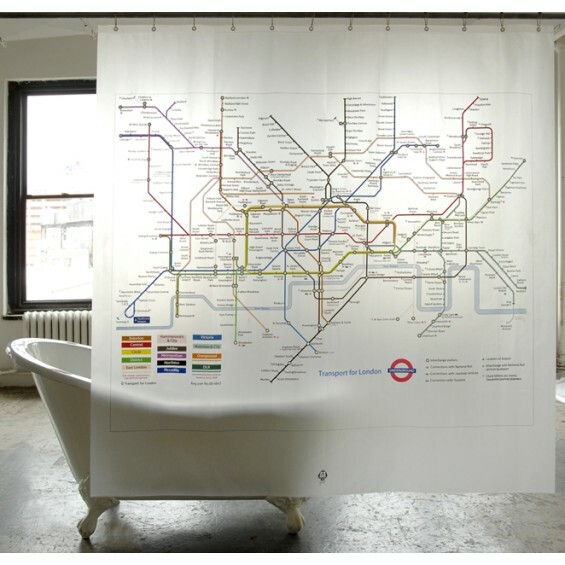 With London on the mind I considered this London Underground shower curtain but it was too bright for my bathroom. 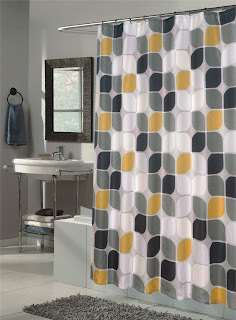 So I decided to start looking a simple mid-century modern shower curtains. This sheer shower curtain was at the top of the simple list, but a little too simple for my bathroom. I need a little bit of a pattern. But they had too much of a pattern for me. 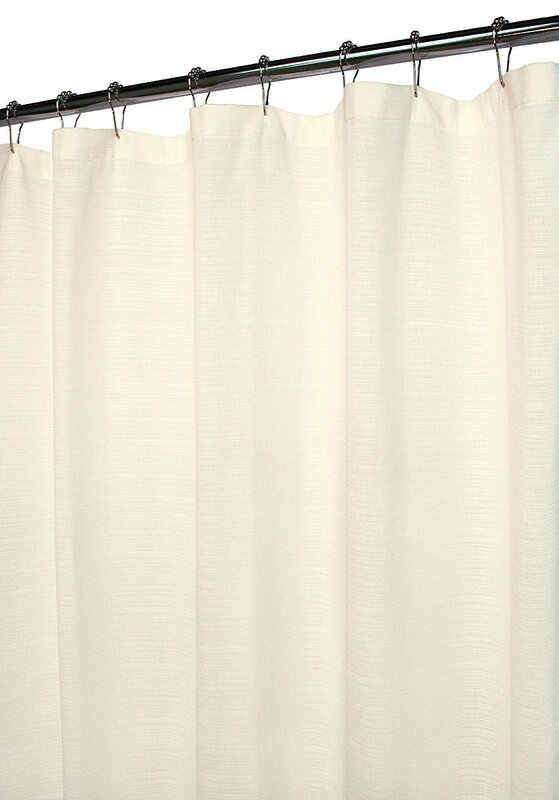 So I ended up with this mid-century modern shower curtain. It's white, which should let in a lot more light, with gray pattern, which will look nice with the stone tile inside the shower. Where did you get the shower curtain? I'm in love with it! 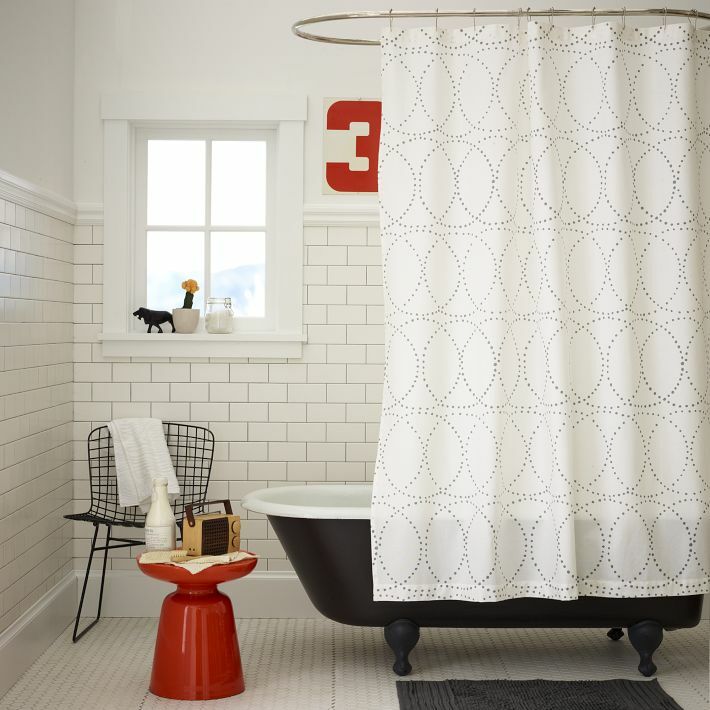 There's a lot of shower curtain love in the post. There are links to each of them near their pictures, except the last one which was sold by West Elm if I remember correctly, but they no longer carry it.